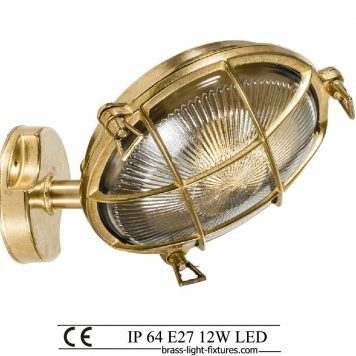 Nautical lighting bulkhead. 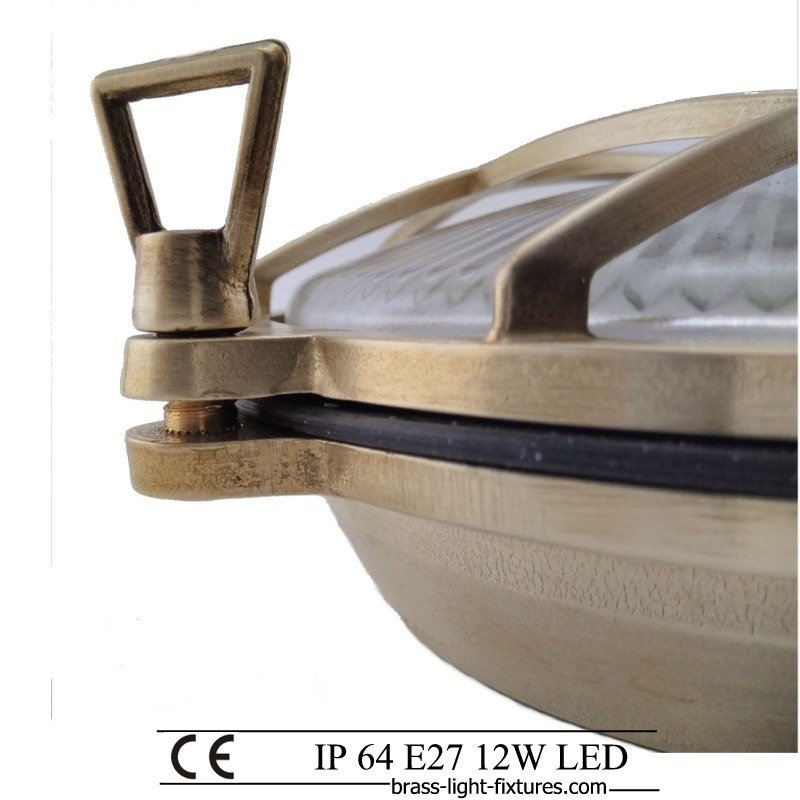 Marine bulkhead round outdoor wall / ceiling light. 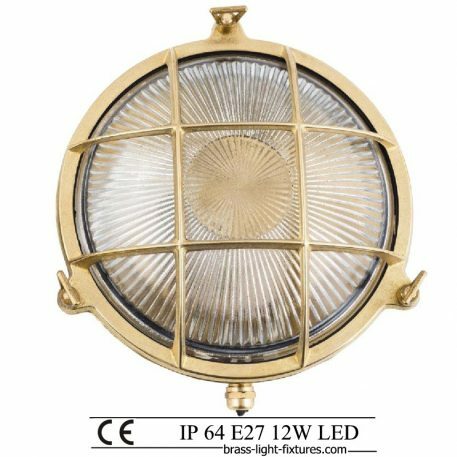 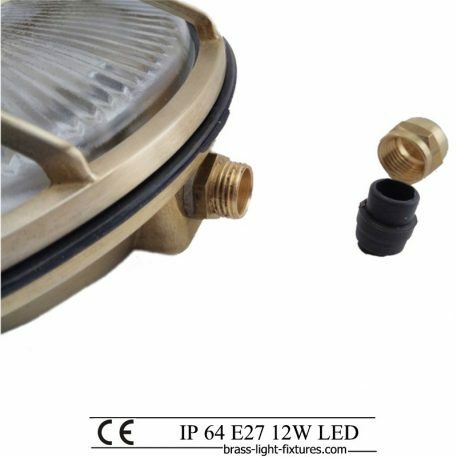 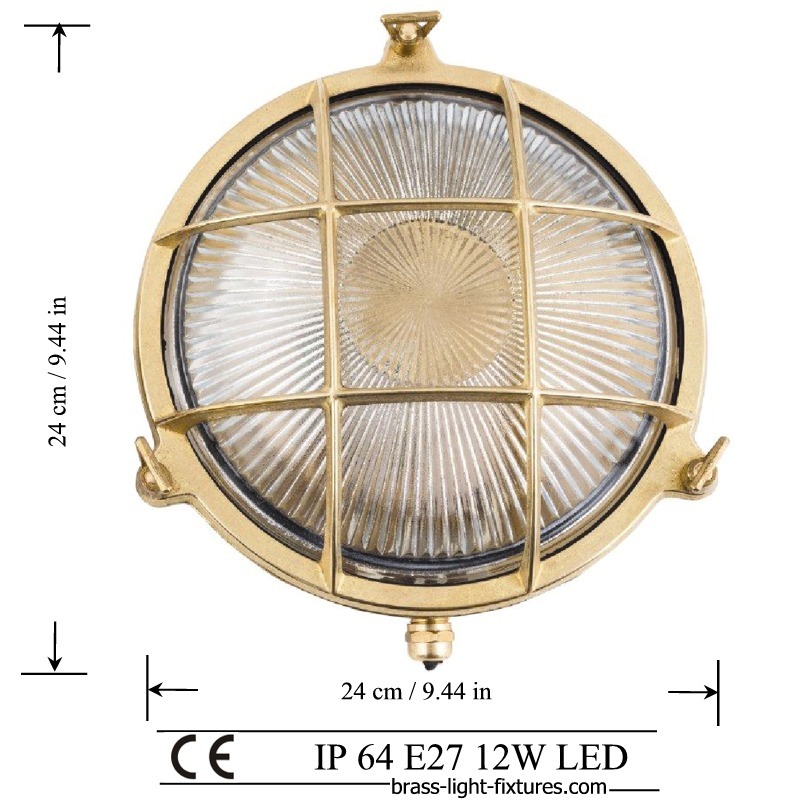 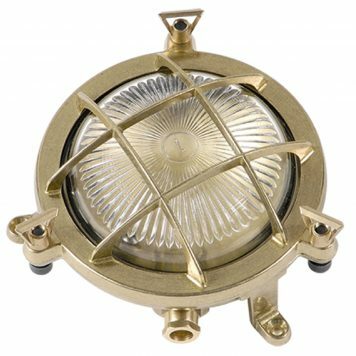 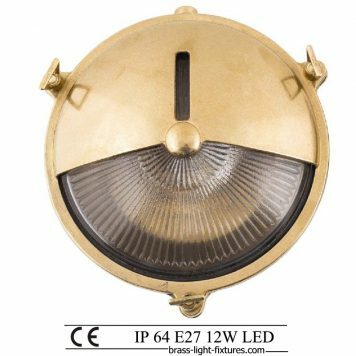 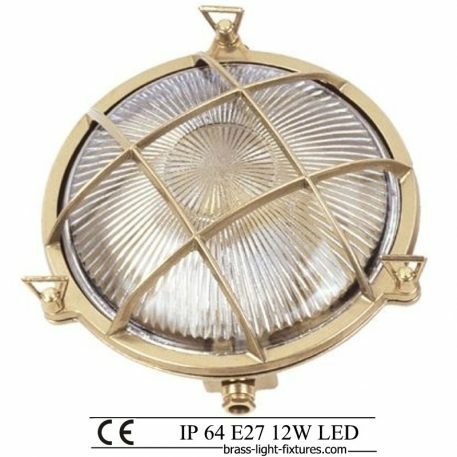 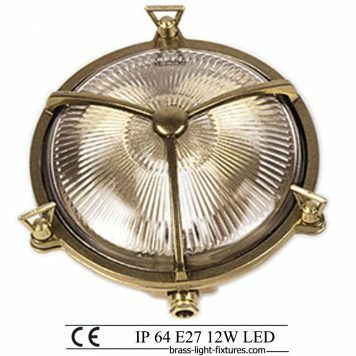 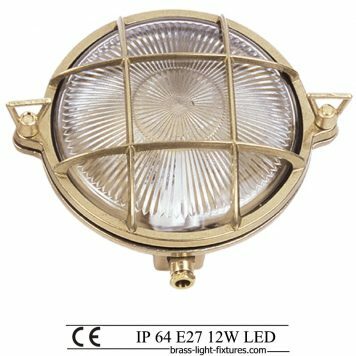 A nautical round light fixture, waterproof, made of brass, intended for indoor and outdoor use, such as for the illumination of garden, garage, courtyard, pathway, staircase and more. Carefully constructed, with three screws securing the safety net and the glass to the light’s main body, with an intervening special flange for the fixture’s complete sealing. 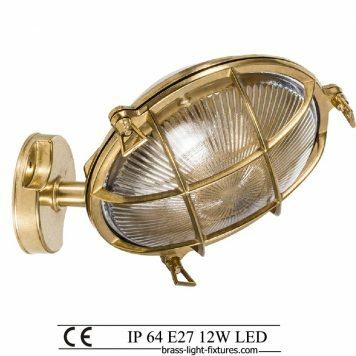 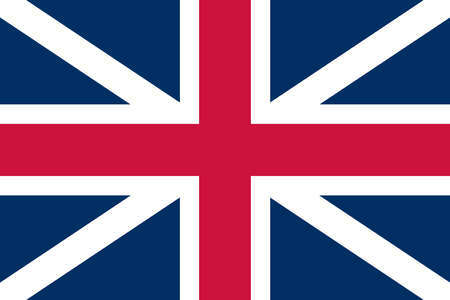 It is suitable for indoor or outdoor use, and can equip bars or restaurants, complementing their nautical-themed decoration. 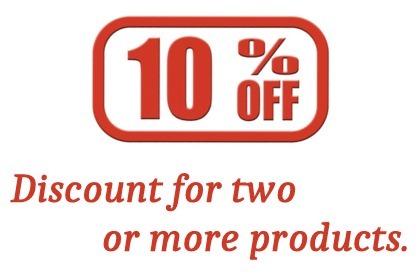 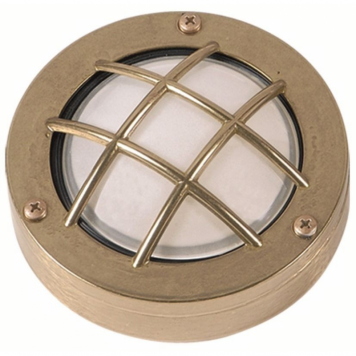 VIDEO Nautical lighting bulkhead Wall or Ceiling Bulkhead light. 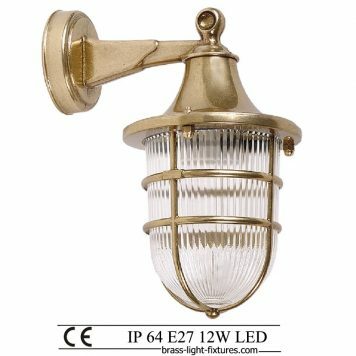 ART BR403 Brass.